I have looked on YT for a ballistics gel test on this ammo, Federal Personal Defense 180 gr. .40 caliber JHP, and the HST round comes up. Is it actually an HST round, just re-branded? Anyone have any experience with this ammo? No. Just look at the two rounds. FPD has only a dimple on the top edge of the bullet while HST has serrations all the way to the case. FPD has a brass case while HST is nickel. These features plus the low price of the FPD positions it as Federal�s �economy� grade HP positioned below HST marketing-wise. I don�t know about performance. Last edited by Indydriver; 02/21/18 08:33 AM. Thanks for that info. I couldn't find any ballistics on it, so I just left it at that. Until I came here and asked about it. There are some very knowledgeable firearms owners on here, so I knew I would get the answer here. Maybe a 22 is all we need..
Last edited by CourierDriver; 02/21/18 11:02 AM. As indydribver so astutely observed the bullet and casing are much more economically minded in the link you provided vs the true Premium HST. Fact is the FPD is likely 20+year old tech and bulk components, likely a contract overrun from some military or gov contract. The FEderal Premium HST stuff is the latest and their best tech and components and purpose built and designed for the best possible performance in situations where things like that matters. I would not want to be shot with a hollow point .22 Magnum. High velocity does wonders. That's a good price, might pick up some. Not HST; you tell from the bullet profile and the serrations in the jacket. Secondary consideration is the cartridge case is brass and not nickel. I always buy HST ammo from SGAmmo.com I used to buy it from ACADEMY until they stopped selling it. Every time I went to YT to look for a ballistics gel test on this JHP, it would go to an HST video, which is why I asked if it were re-branded HST ammo. For 9MM and .45ACP, you should give Bone Frog a look. 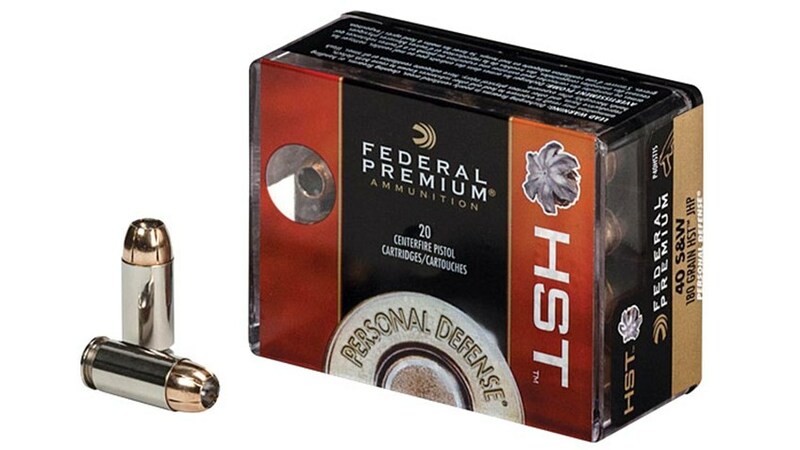 Their 9MM HST is currently $17.75 per 50 round box and shipping is more than reasonable. Thank You Sir. They do have some excellent prices! Saw this write-up on it this morning and thought I would share. I saw the write up on that ammo after SHOT SHOW 2018. There were a lot of mixed opinions on it, mostly negative. Some think it came out just to coincide with the FBI's hair brain thinking about going back to the 9mm. I like the HYDRA-SHOK, but prefer the HST round. I will say this though, it's an improvement over the older HYDRA-SHOK round. Thanks for sharing that 2015_PSD. They advertise on the box, "50% Deeper Penetration". That might not be a good thing. How much did the old load penetrate? It seems like they are trying to reinvent the wheel with a lot of this ammo lately.